When I bought my Ariens Zoom 1634 I was very happy. The quality of its use was amazing. I never had a lawnmower that could cut my lawn so fast and so accurate. I didn't even have to go over spots three and four times like I had with my old lawnmower. The ease of movement helped me to cut in areas that were uncut able before. It was equipped with a trailer hitch that I could use for any other landscaping needs I may have in the future. Its capacity to hold over three gallons of gas kept me from constantly refilling it. This riding mower was very comfortable. All parts of the mower could be adjusted to my standards like the grass length and the width of the cut. The blade speed is an amazing 17,000 FPM, cutting my time in half. This lawnmower comes in many colors and has optional attachments. The controls are easy to maneuver. Whether a young adult is cutting the grass with it or an eighty year old elderly person is using it, the versatility of it is very uncanny. There is no mower that can stand up to it. Though some people might have an issue with the price, they will be satisfied and realize that they have spent their money well once they purchase the Ariens Zoom 1634. 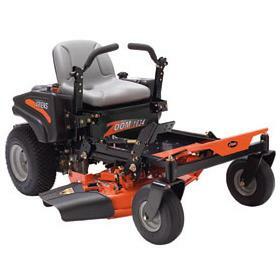 I am very happy with this product and recommend it to everyone that is looking for a high quality lawn mower that can cut their work load in half. I agree that this is a well built and outstanding product. Compare the workmanship and features to anything out there and you will agree. It does an excellent job on my lawn and is a pleasure to drive.Lots of power in the 16.5 hp engine on this 2008 Model. I put driving light on and a hood kit. Also bought a non powered bagger. Works fantastic!